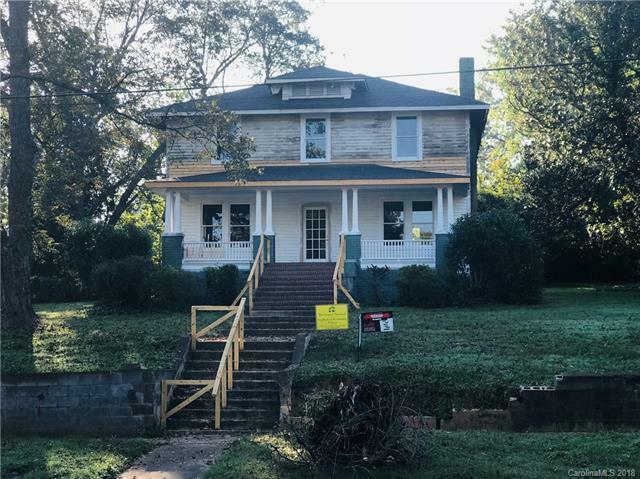 Fantastic opportunity to renovate one of the most imposing homes in Salisbury's North Main Historic District! This 1923 Home was built by the McCubbins family and was part of the "Steelworth" subdivision. Sits high on a hill on 3 lots just over .5 acre. Has a towering command and view of the surrounding homes. While this house sustained a fire, it has been gutted, new porch rebuilt with a new porch roof, and all of the wood windows have been restored. It is a blank slate. Well built home is structurally sound and ready for your upfits. most of the original moldings are stacked and labeled ready for replacement. The house will come with Historic Salisbury Foundation's Covenants and Restrictions. Currently there is exterior money available for rehab. The home will need all new mechanical's. Eligible for NC state tax credits of 15% for approved rehab.